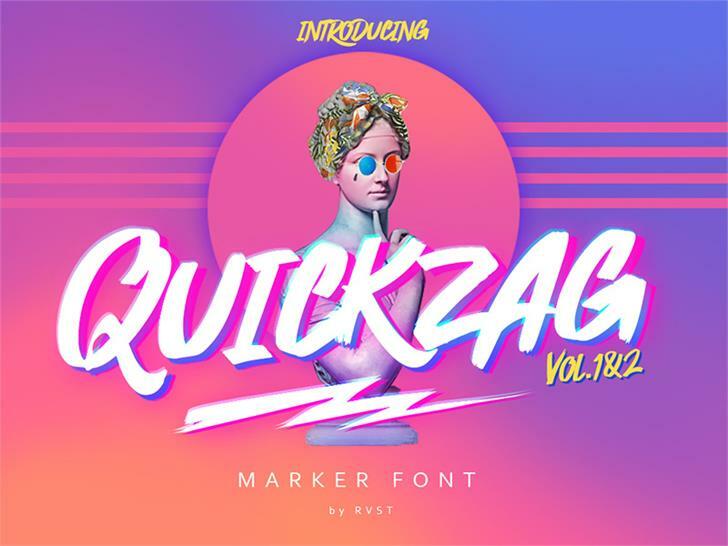 Quickzag is hand drawn marker typeface with an energetic set of marker fonts with fast swipes yet gentle attitude. suitable for energetic, retro, synth-wave, or simple-clean feel that make your statement, product, poster, merchandise, logo or brand stand out. Thank you for your support and downloading quickzag. Copyright (c) 2018 by Indra Renov. All rights reserved.